We’ve made gift giving easy. Everyone likes to laugh and everyone likes to have a great time. 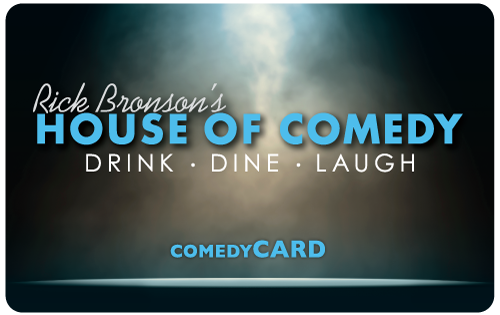 Give them a House of Comedy Gift Card and make all their dreams come true. Give the Gift of Laughter! 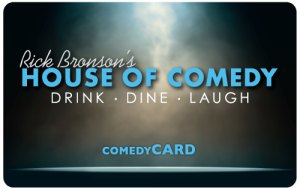 Gift Cards are available online or by contacting the box office. Purchase Gift Card in your choice of denomination. Gift Cards are valid for all purchases. Tickets, Food & Beverage. No Expiration Date on Gift Cards. *Complimentary tickets not valid on Saturday Nights or Special Presentations.